We're all full up! Thank you so much to all of members, we hope you enjoy the season! Joining our CSA is a great way to enjoy nutrient dense, sustainably grown, fresh local vegetables throughout the growing season! Check out our CSA FAQ page for info about what a CSA is, what you can expect in your weekly share, and more! All of the photos on this page are examples of full shares from previous seasons. 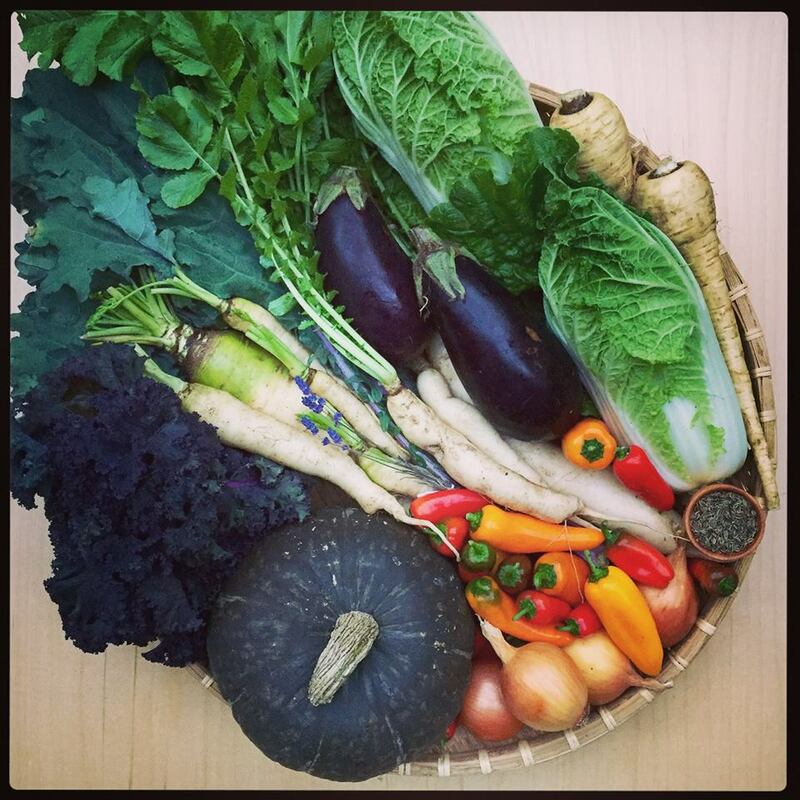 We were lucky enough to have one of our wonderful CSA members create an incredible photo journal of our CSA last year, including pictures of every share she received throughout the season, along with the dishes she made with our produce. Thank you so much Keh-shin Cheng for allowing us to share it here to help illustrate what our CSA is all about! Click Here to check it out! We also have oodles of CSA related posts on our instagram thanks to Kana's tireless efforts to document our farm journey. We wouldn't be half the farm we are without her! You will receive your share once per week for 18 weeks from June through October. We have a limited number of shares available to make sure every one is as great as it can be. Click Here to download our CSA application form.